Home » Astrology » What Is Persian Astrology? Persian astrology originated from Zend–Avesta. Some of the parts of Zend-Avesta are somewhat similar to Rigveda. A lot of information about the cosmology related to Persia and Iran has been lost over the long period of time. This has happened mainly because of the arrival of Koran and total annihilation of many of the pre-Islamic libraries. Despite all this the texts of Zend–Avesta are the sources of information of Persian astrology. Through the Zoroastrian prayers of Yasna, veneration has been made to different cosmological energies that come from different constellations. 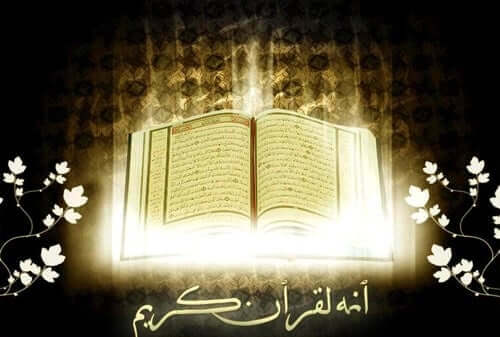 The analysis of Islam astrology is done mainly on the basis of the date of birth. The analysis is basically used to reveal some of the personality traits. Arabic astrology or Persian astrology is used to analyze the virtues and vices of different signs. With the help of Arabic astrology people can get to know of their characteristic and strengths and weaknesses. In fact this system also gives an insight into the characteristics of the ones who surround the people. While the zodiac sign of the western world are immensely popular all over the world, little is known about the Arabic zodiac signs. On the basis of different constellations that are visible at different times of the year a profile is made. The cosmic profile thus made is used to give a description of the people who have been born during these times of the year. If the general opinion is to be believed then this method of astrology has been said to be highly accurate. With the help of Arabic astrology the effects of astrological signs on the molding of personalities is explained. This is why Arabic astrology is used to explain personality related questions. In total there are twelve signs of Arabic astrology. The names of these twelve signs are Hamal, Jawza, Asad, Sawar, Saratan, Maizan, Jadee, Hood, Quos, Dalwa, Sunbula, and Aqrab. There are many experts who help people with Arabic astrology. But meeting these experts can prove to be an expensive and a troublesome endeavor. One can get around this problem by using the astrology calculator presented over here. All one needs to do is enter the full name and the date of birth. Once this is done correctly and appropriately the user needs to click on the button with free Persian astrology written on it. After this a detailed report, which is in an easy to read format, of the analysis comes up. The astrology report contains the name of the Arabic or Persian sign, the phonetic of pronouncing it and the sun sign. The analysis explains the meanings of the signs and then it tells about the personality traits of the person. In addition to these it also tells a bit about the future. The old system of Persian astrology is considered to be highly accurate and one must get an analysis done in order to understand their personalities.